Vintage is the hottest trend of the decade. 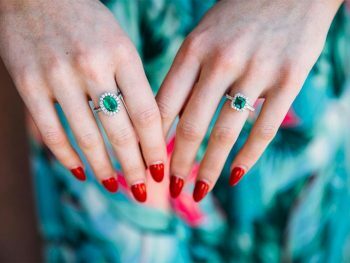 Everything from home décor to jewelry is popping up in vintage styles these days, and the vintage craze certainly applies to vintage engagement rings. 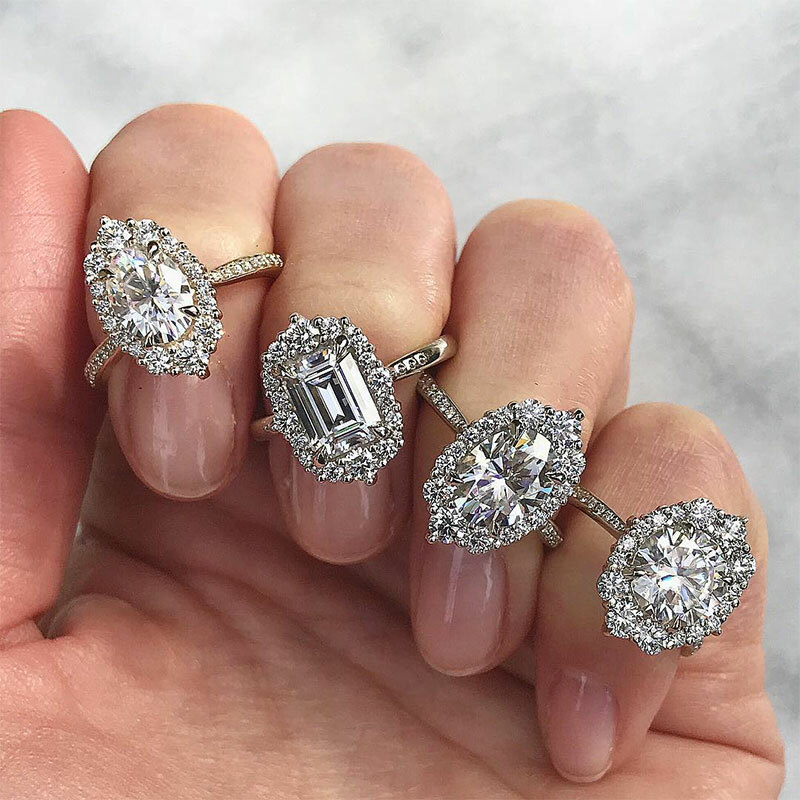 Many modern brides-to-be are taking notice of the beautiful styles of vintage, and vintage-inspired engagement rings available and has decided that vintage is the only way to go for them! 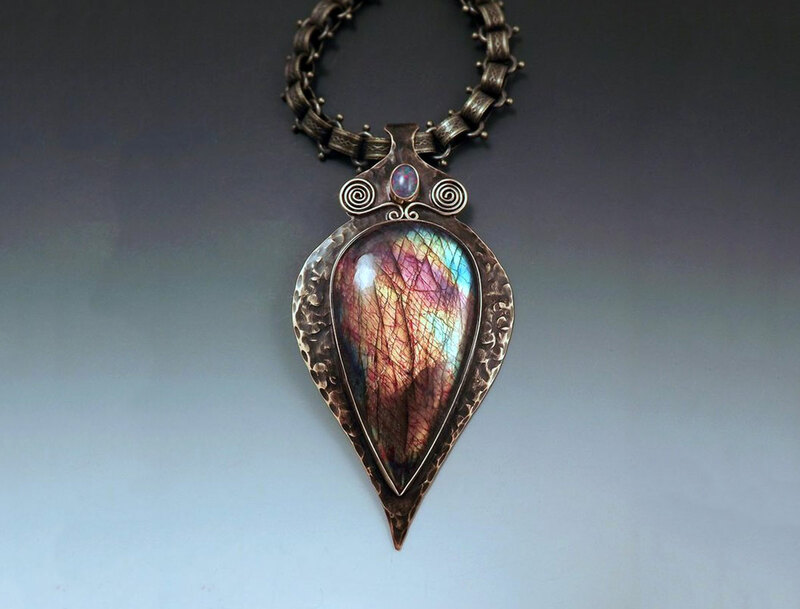 There are some very good online retailers that offer vintage estate jewelry. 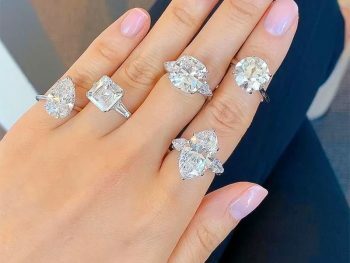 They offer very nice selections of vintage engagement rings that are 20+ years old in all sorts of vintage styles, like art deco, and in metals such as platinum and 18k white gold, which were often used in rings during the early 1900’s. Many true vintage engagement rings are one of a kind jewelry, so for the future bride who wants a ring that no one else has, this is the way to go. One thing to remember when you search for a diamond vintage engagement ring is that true vintage rings are very costly, especially when you are looking at a ring with a diamond over one carat in weight. 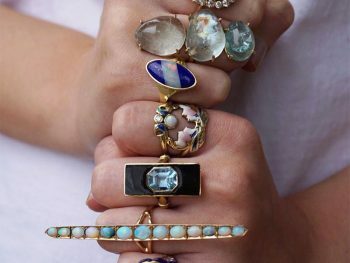 Rings with stones of that size will probably cost you $3000 and up. Four and five-carat vintage engagement rings can cost $30,000 or even more, depending on the condition of the ring. 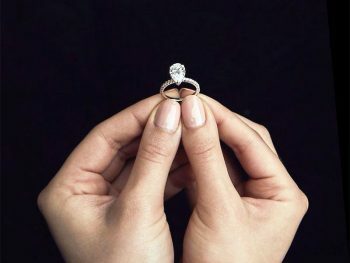 The good news is, if you want to spend less than 5 figures on a ring, you can still get a beautiful vintage ring with a diamond of 1 carat or less for between $400 and $5000, depending on the size and quality of the diamond, of course. An alternative to a true vintage style engagement ring would be one of the many beautiful vintage style rings that are available today. 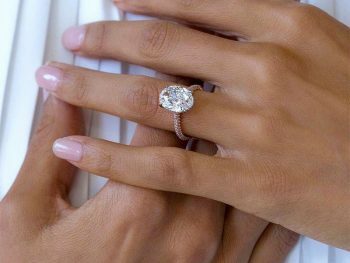 What types of vintage style engagement rings can you expect to find in today’s market? 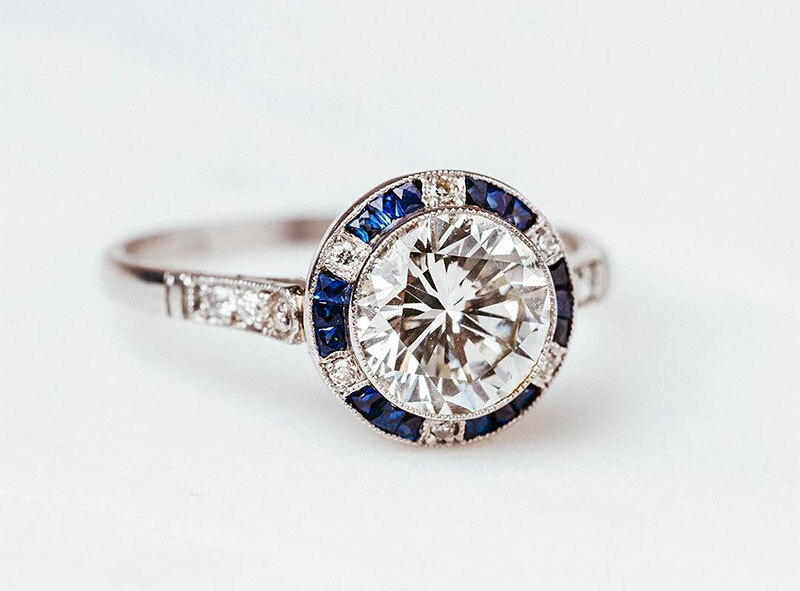 Art Deco engagement rings are considered to be a vintage style, because Art Deco was prominent in the early 1900’s as a design style for many things, including architecture, interior design, and of course jewelry. Vintage rings with Art Deco settings feature chevrons, “fountain” sprays, and ascending/descending column designs. 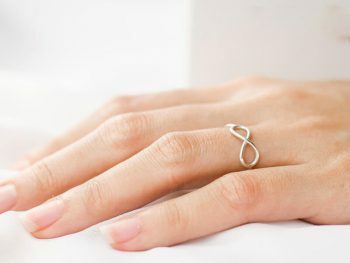 Rings with 6 prongs or more are also considered to be of a vintage type design. 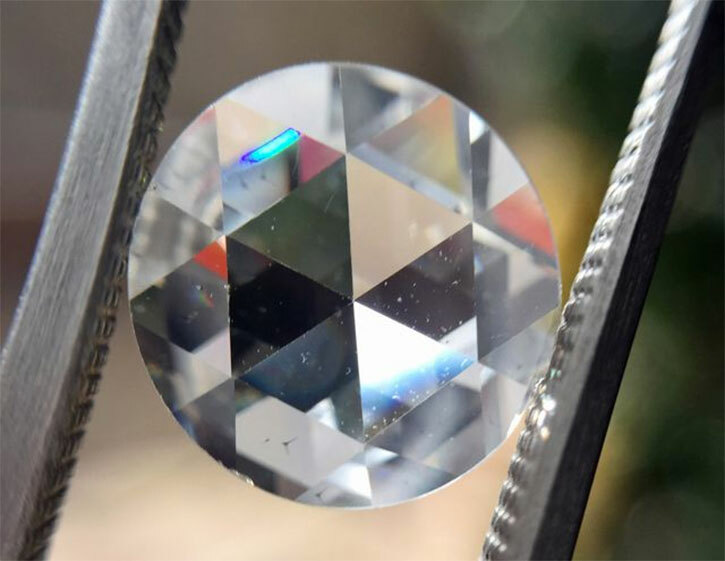 Long ago, methods for setting rings were not as precise as they are now, and so jewelers used more prongs to ensure the safety of the gemstone set into the ring. With modern techniques, they can now use fewer prongs to set the stones safely. A ring with a cushion-cut diamond always has a vintage look to it, also. Cushion cut diamonds were popular in the late 19th century into the early 20th century. The infamous Hope diamond is, in fact, a cushion cut diamond. Cushion cut engagement rings do not have as much sparkle and flash as a brilliant cut diamond engagement ring, but because of the larger facets, it has more brilliance and looks brighter than other diamond cuts. Cushion cuts lend a soft, romantic feel to a ring because of their softly rounded tops that look like plump cushions or pillows. 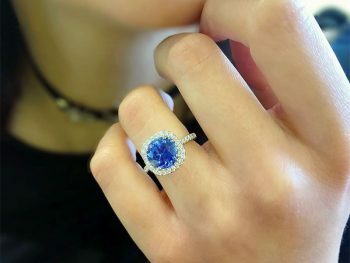 There are also more gemstone choices available today in vintage style rings such as sapphires (both blue and white), moissanite, and even aquamarines, so you don’t have to confine yourself to just diamonds any longer! Art Deco-inspired platinum engagement ring. 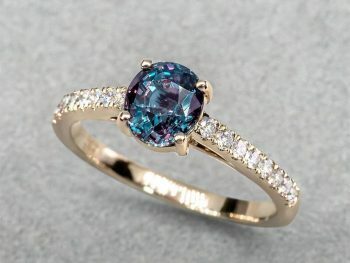 Many great online retailers specialize in vintage style engagement rings. The most important thing to look at before you purchase online is the return policy for the store. They should have a 100% satisfaction guarantee in place before you consider buying from them. 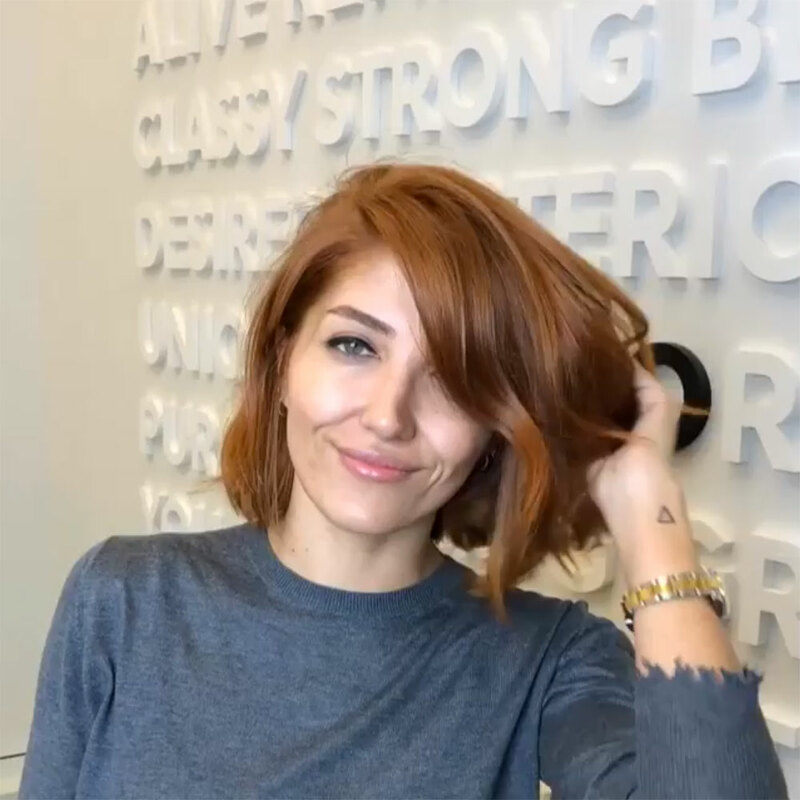 Make sure to read the fine print, and be aware that most stores (online and brick and mortar) will not accept a piece of jewelry for return if it has been altered in any way, such as being sized or engraved by a second party after purchase. 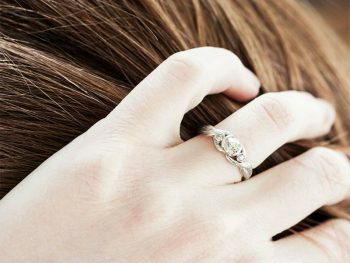 Often, even if they do the sizing or engraving, the ring will not be returnable. 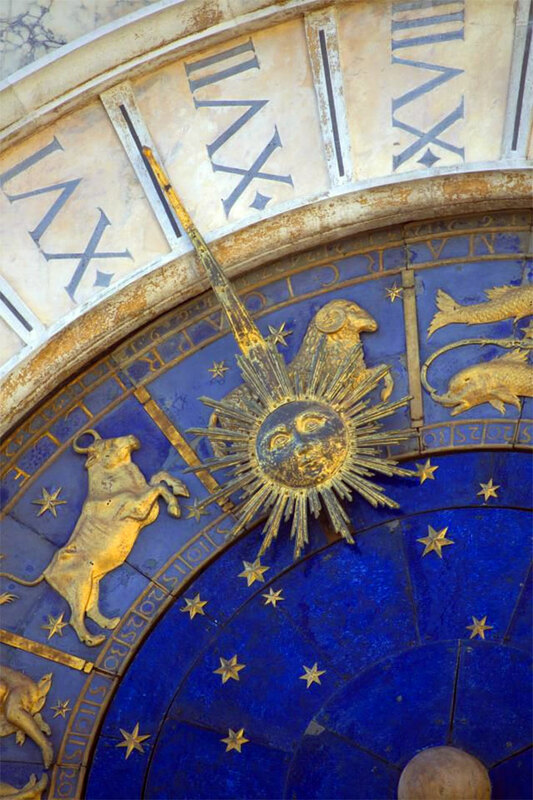 The other thing you should always ask about is a gemological certificate for the stone in the ring you are buying. Many good online stores have them scanned in and will let you see the certificate before you buy. 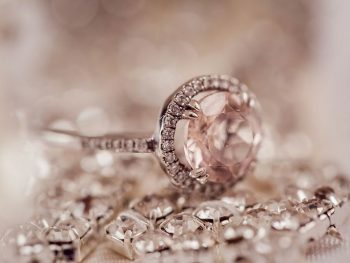 Vintage engagement rings and vintage style engagement rings are always elegant and beautiful! For today’s beautiful bride to be, what more could anyone ask for?